​Timberlines forte is antelope hunting! Considering that there are more antelope statewide than people, Wyoming is antelope hunting heaven. Pronghorn are the fastest land animals in North America which you’ll find out once you hunt them. A very exciting hunt with lots of action! 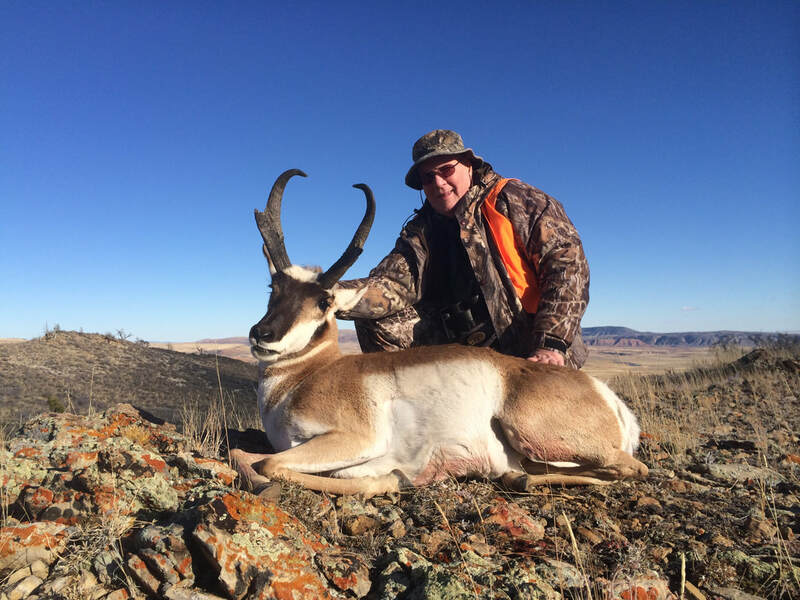 Timberline Outfitters offers some of the highest quality pronghorn antelope hunts in Wyoming. We hunt 150,000+ acres of private land as well as hundreds of thousands of acres of BLM in Carbon County (most B & C entries by a long shot). 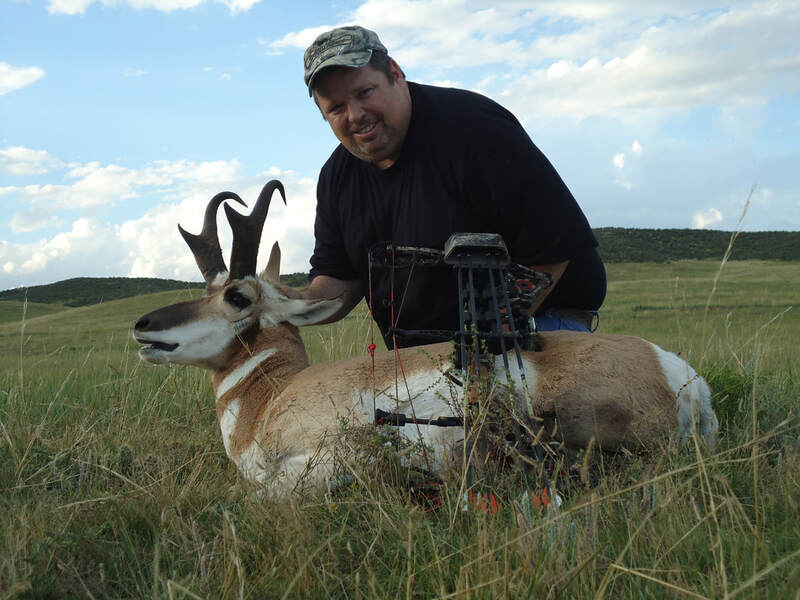 Timberline archery antelope hunts are from mid August to mid September. We have great success rates with many trophies making Pope and Young. We set up comfortable box blinds which sit over water holes where the hunter can expect shots between 10-30 yards. Our private ranches are just outside of Cheyenne so our hunters stay in town at the downtown historic hotel. Accommodations are taken care of as well as breakfast and lunch. Success rates are very high with around 80% of hunters harvesting bucks. 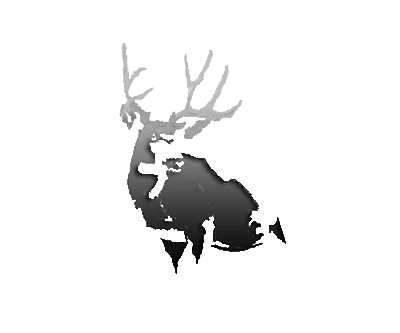 ​We have numerous private ranches on which we hunt antelope as well as public lands. Hunter success rate on our rifle antelope hunts has been 100% for the past 15 years! Opportunity has been 100% throughout Timberline History. We use the spot and stalk method and typical shot ranges are 100-300 and some out to 400+ yards, which can really test shooting skills. We have taken numerous animals over the years that have qualified for the Boone and Crocket books. Expect to see lots of animals and have ample opportunities.